ALPINE stands for a super-wide range of uses, from the valley right to the summit! For multi-day alpine tours with lots of luggage, the TRAVERSE series now has a new companion: The TRAVERSE 38 S! With an additional bottom compartment, an adjustable front pocket and an extra map compartment, the TRAVERSE 38 S is ready for long mountain tours. The back system, the ergonomically shaped shoulder straps and the hip strap provide reinforcement to optimally balance out heavy loads. Just like in the other backpacks in the ALPINE SERIES, the TRAVERSE 38 S comes with the COMFORT CONTACT BACK SYSTEM, which has breathable contact pads for continuous AIR CIRCULATION, ensuring pleasant wear comfort. 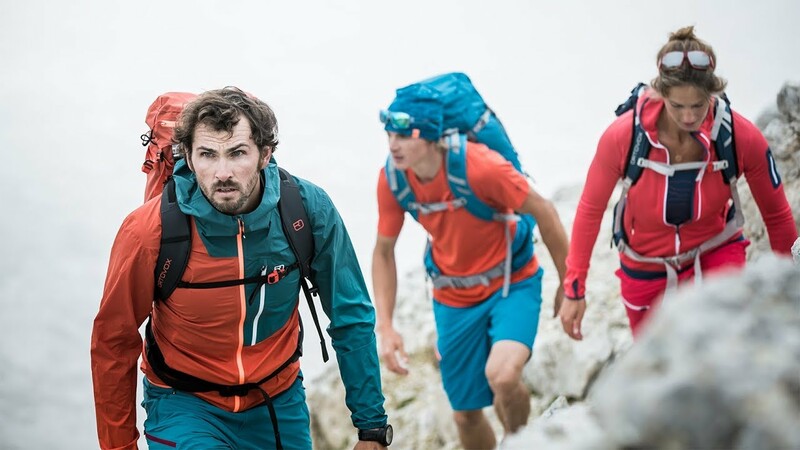 Clever little features such as hydration system compatibility, crampon and ski fastening options, a hip pocket and a rain cover all come as standard on all TRAVERSE backpacks. The TRAVERSE 38 S can be opened up completely using the circumferential front zipper, providing a good overview of the equipment inside. With all its features, the many fastening options and the partitioned bottom compartment with variable interior space, the TRAVERSE 38S is perfect for multi-day tours when you are carrying more baggage. The “S” in the name stands for SHORT, so it has been adapted especially for mountaineers with a short back. The back system of this backpack is significantly shorter. For quick access to a map. Stronger back, shoulder and hip strap to optimally balance out loads. For even more volume in the front pocket.